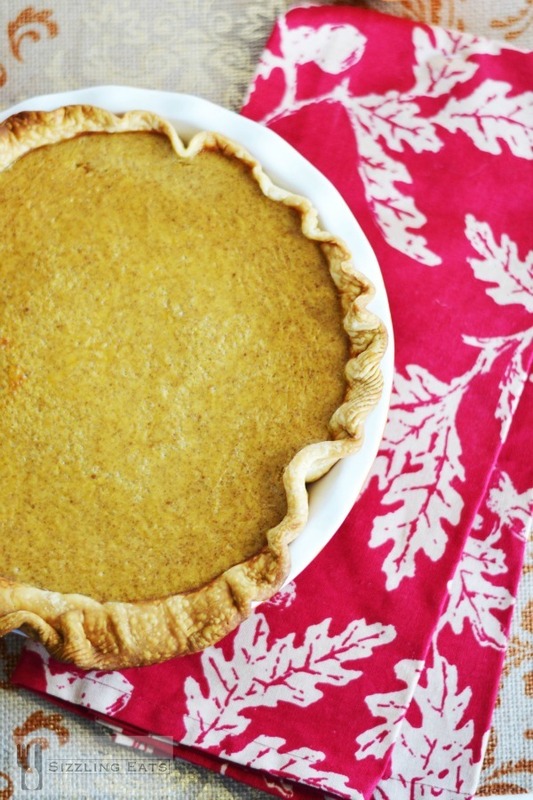 Last week, I shared a recipe on my lifestyle blog, Savvy Saving Couple for The Best Shortcut Pumpkin Pie Recipe! 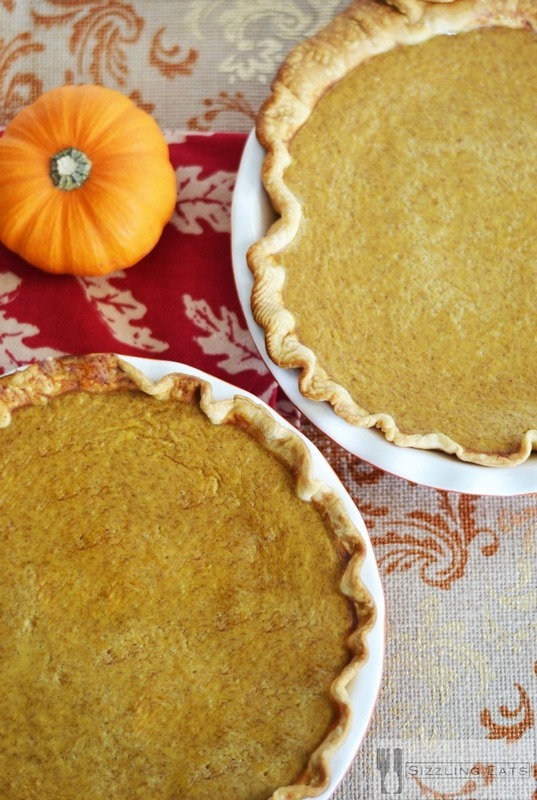 It is a very easy recipe that uses canned pumpkin and store bought crust. 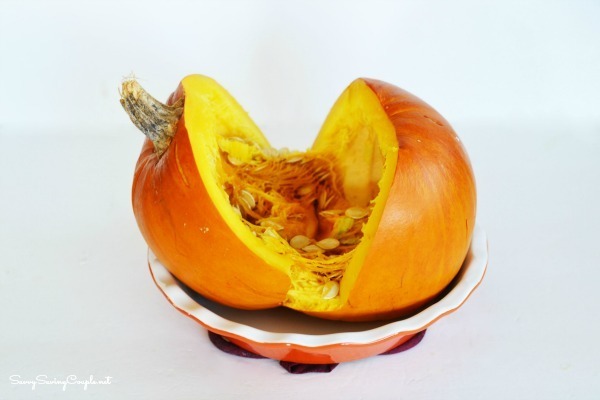 For this pumpkin pie recipe, I wanted to focus on how you can roast a whole pumpkin in the oven and process the meat into pureed pumpkin which can be used in muffins, soups, and pies. I love this time of year because Halloween has passed and Christmas is already next month! I am so excited for Christmas this year and cannot wait to decorate. It is funny how I have the tendency to go from Halloween—>Christmas with little in-between. I do love Thanksgiving, but it will be bittersweet without my dad this year. He always loved Thanksgiving because it was a time that all his family could be together. Anyhow, life goes on and I want to make sure my kids have all the delicious memories of Thanksgiving just as I have. That is why I love making desserts like this Pumpkin Pie from Scratch so that they can maybe one day make them for their kids and so on. My girls have such a love for cooking so I think they might follow in my domesticated footsteps. Making pumpkin pie from scratch is not that easy, and it really time consuming. However, you reap the benefits of a healthier pie that is more custardy verses a pumpkin pie made from canned pumpkin. I don’t know about you, but canned pumpkin has a ton of graininess in it which can be unappealing. After roasted a whole sugar pumpkin I scooped out the seeds to roast again, the flesh for muffins and pie, and I used the skin for my composter. Basically, I did not waste any of the pumpkin. In a large mixing bowl add all the dry ingredients for the pie crust. 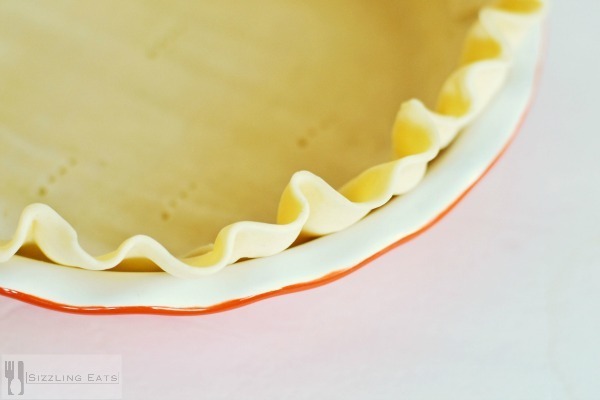 Slowly add in the shortening and butter and cut it into the mixture using a pastry cutter. OMG, we love pumpkin pie in our house. I have to make like 3 of them for when we host Thanksgiving! Congrats on making pumpkin pie from scratch. It does look delicious. I have yet to try it myself. My kids love pumpkin pie no matter what. But my husband only likes it if it is homemade pumpkin pie. And obviously everything is best if made fresh, especially fresh pumpkin puree! I think that pumpkin pie looks yummilicious! 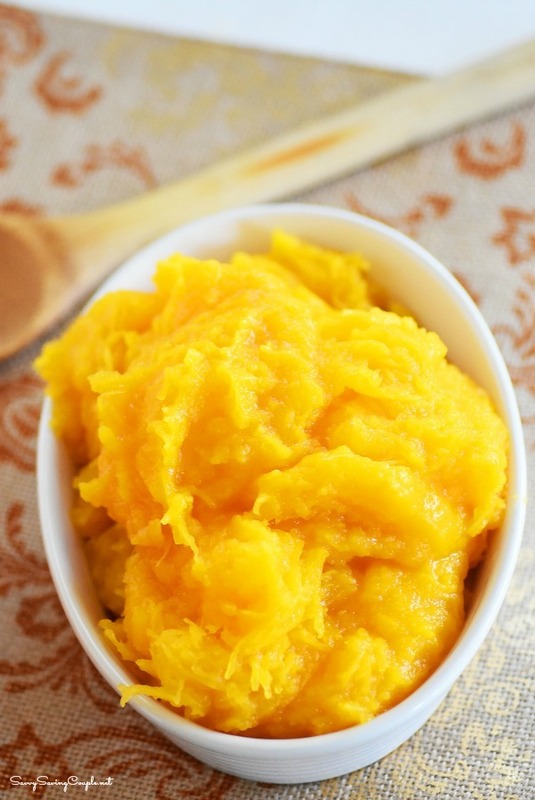 I can never get enough pumpkin goodness and I love using real pumpkin puree in baking. Such a great flavor! You are way braver than I am! I bet your kitchen smelled AHmazing though! My mouth is watering just looking at the pictures! I am sure this tasted amazing, it certainly looks like it! Making pumpkin pie from scratch is one of my favourite things to make in the fall. I am looking forward to trying your recipe! My daughter is a huge pumpkin fan, but I’ve never made a pie from scratch. I’d love to surprise her with this recipe. Yum! Yum. Just the way I like it! From scratch. I love pumpkin pie. I have never tried making it though. Isn’t pumpkin pie the best!? Love that you made it from scratch, so tasty! SO nice to see someone other than my mom who actually makes pumpkin pie was scratch with a real pumpkin. I’m going to have to try your recipe which looks absolutely wonderful, I especially like the way you made the fluted crust edge. gah. i love pumpkin pie but have always used canned pumpkin. maybe this will be the year i have the patience to roast the sugar pumpkin. you made it seem so easy. I will only ever eat homemade pumpkin pie. Especially one with from scratch pie crust! I love that even your filling is from scratch! *Most* people call it from scratch but use pre-made filling. Stay true sister! I am not a huge pumpkin over but my family loves them and this pie looks great. I’ve never made one from scratch, but oh my goodness. This is reason to start!